Your air conditioning system at home has always been running well, and you have never given much thought to how it works, but the truth is you do want to pay close attention to your AC system. The only way you ever can determine if something is wrong with the system is if you know what to expect from it regularly. The last thing you want is to come home one day and find that the unit is not working at all anymore and you now need very costly repairs or replacement of the entire unit. At American Clean Air and Heating, we always make a few recommendations to people so that they know when the right time is to call us for AC repair in Burbank. Even if it sounds like your system is running well, the best determining factor you have is how the rooms of your home feel when the system is running. Does it seem like it is taking much longer for the house to cool down than it has in the past? Is one room feeling cool while other rooms are quite hot as if no cool air is coming through at all? Does it seem like your thermostat is not working or is malfunctioning? The comfort level of your home is going to be a good indicator of any potential problems. If things do not feel right to you, it may be the right time to give us call and see what the problem might be with the system. If your AC system sounds unusual to you, this can be another sign that you need AC repair in Burbank. For the most part, most of us rarely notice the sounds our system makes because they become part of our daily background noise. However, it is always a good idea to know what noises you should expect when the system comes on, is running and when the air is coming through the ductwork. Anything that sounds out of the ordinary could be a potential trouble sign for you that you want looked at. 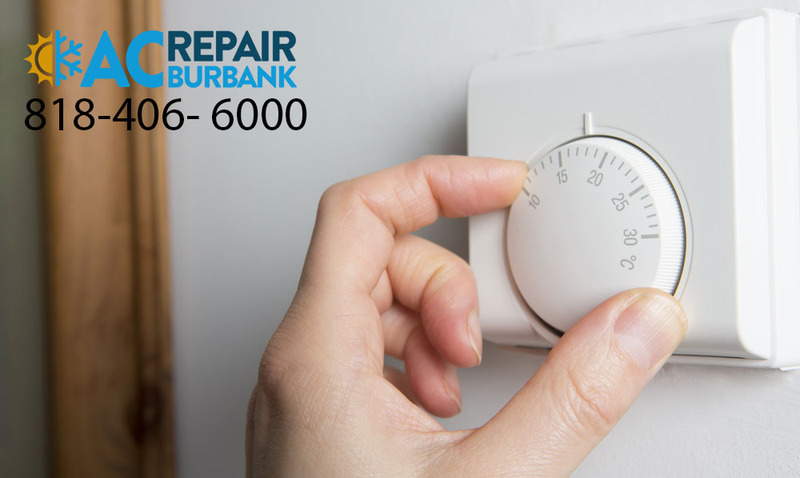 Being proactive about your AC repair in Burbank can help to save you a lot of money. Often, our repair calls may be something minor that needs fixing or replacement. If you can catch problems early on, you can save yourself a lot of money and aggravation. When something seems out of the ordinary with your system, take the time to call us at American Clean Air and Heating at 818-406-6000, so we can help you out and find out what may be wrong.